At Vacy Hall we believe the most important meal of the day is breakfast. We serve hearty, generous, wholesome breakfasts which honour local produce and are cooked to order. Breakfast can be paid for when you book and ordered on arrival. It can be delivered to your room like room service or served on the verandah off your room. When I travel, I get a buzz out of discovering fabulous places with great food and wine. Let me share with you my favourite local places to go to experience the best this region has to offer. 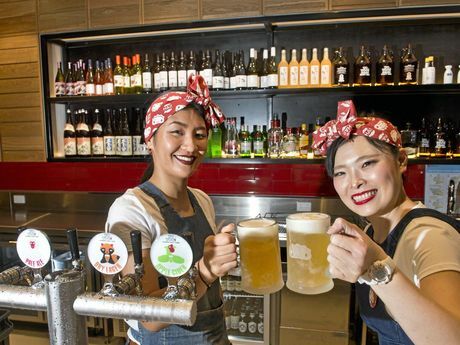 Toowoomba is getting funky, there are two new groovy inner city laneway bars to explore. Another fresh offering is The Moose, which is a chocolate parlour/dessert restaurant by day and a cocktail bar by night. Sofra is always the busiest restaurant in the City, consistently great food, happy staff, great value, local and imported wines and a great vibe. This restaurant is popular with locals for all occasions and can even be full on a cold wet Sunday night. 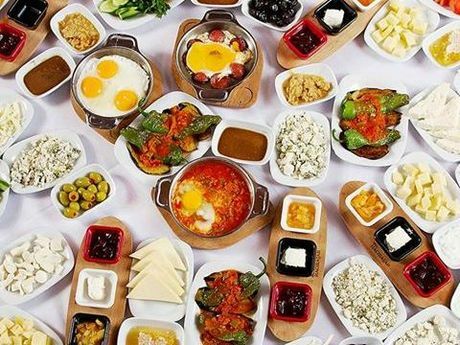 Try the mezze platters for 2 people and the char grilled marinated lamb cutlets, they are both specialties of the house but be careful they are big serves. Open 7 days 11.30am – 9pm and breakfast on Saturday and Sunday from 8.30. 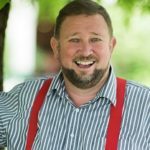 You must book – phone 4638 0044. 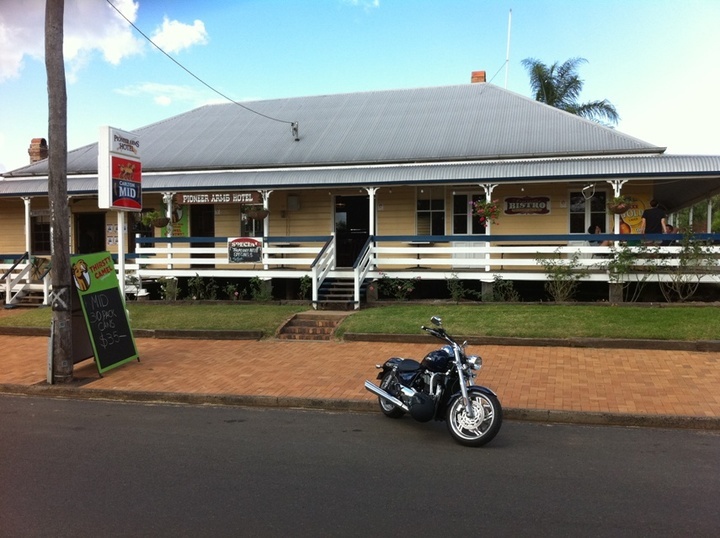 50 metres from Vacy Hall’s front gate and across the road, you will find one of Toowoomba’s finest restaurants, Gips. 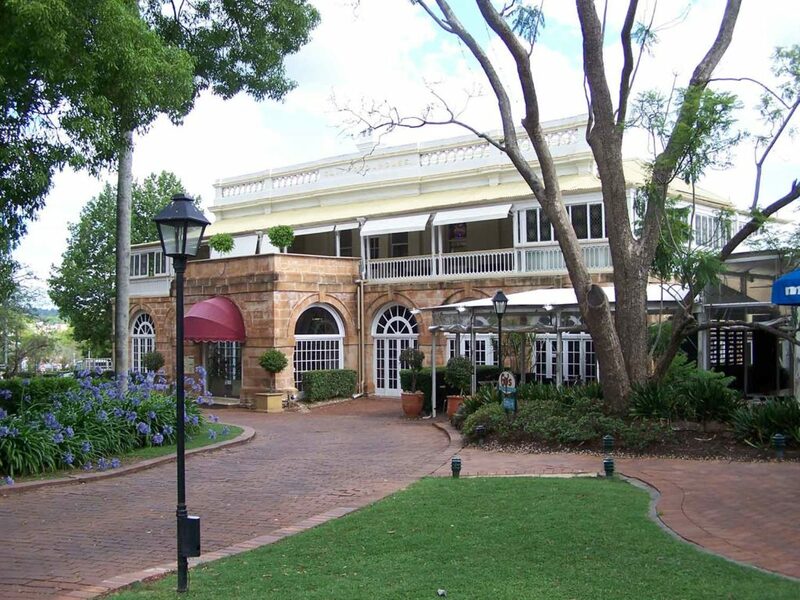 The cuisine is contemporary international a la carte and the setting is casual but elegant even though it feels as though you are sitting in a 150 year garden. Open for lunch and dinner Monday to Friday and Dinners on Saturday. The specialty of the house is the Moreton Bay Bug Ravioli served in a vermouth cream sauce and their deserts are exquisite. Best to book call 4638 3588. This is a smallish restaurant (with only 60 seats) and is just like an old fashioned Italian Trattoria, so make sure you book (an inside table is better in winter). Good Italian food just like Nona’s. 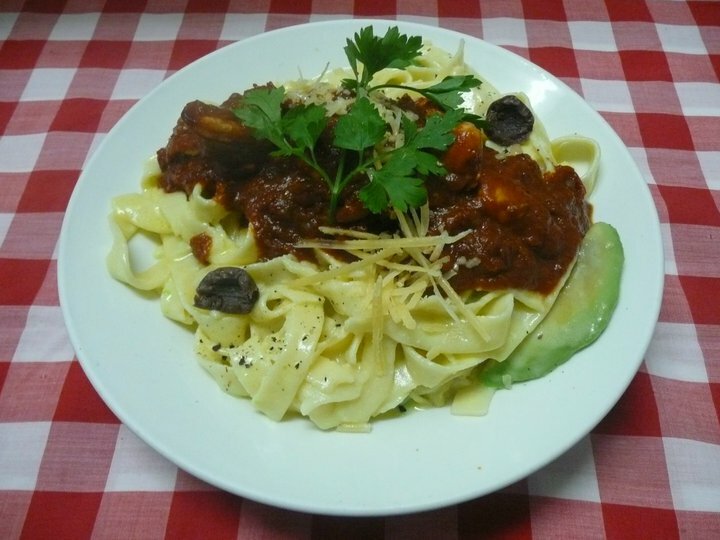 Great deep dish pizzas, veal, chicken and pasta dishes. Try the chicken ovada – chicken breast stuffed with pumpkin and fetta, wrapped in proscuitto, served with a sage macadamia cream sauce – sounds fussy but it works. Open 5.30pm – 9pm Tuesday to Saturday. Call to book 4632 2997. The closest pub (and our favourite) is only 300 metres away. The Irish Club Hotel has soul. 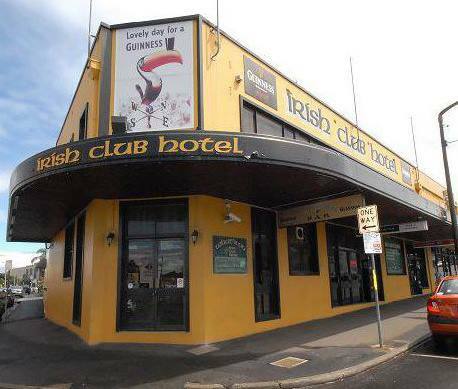 It started life as the Toowoomba Hospital but many years ago became a charming public house. It’s like a country pub in the middle of the city, there’s real people, a sense of community, youngies oldies and everyone in between, it straddles all demographics, and I’ve had people say to me they would move to be close to a pub like “The Irish”. There’s live music Wednesday to Sunday nights with no cover charge. The food is wholesome, tasty and generous with many pub favourites. There is nothing pretentious about this place, it is authentic and popular. The Pioneer Arms Hotel is the real deal. It’s a country pub less than 30 minutes drive from Toowoomba where the people at the bar are just friends you haven’t met yet. Head west on the Warrego Highway, turn right at Gowrie Mountain towards Kingstorpe and then it’s 10 minutes north to Goombungee. It’s the only pub in town and it is the centre of this farming community. Great counter meals with very generous portion sizes. Quite possibly the best steak sandwich I’ve ever had and it will feed two people! These are VERY affordable meals. open Wednesday lunch and Thursday to Sunday lunch and dinner. Ortem (metro backwards) is about 300 metres from Vacy Hall. The concept is simple: great food, great coffee, great service. Ortem is housed in a building that was once used as a ball bearing factory. 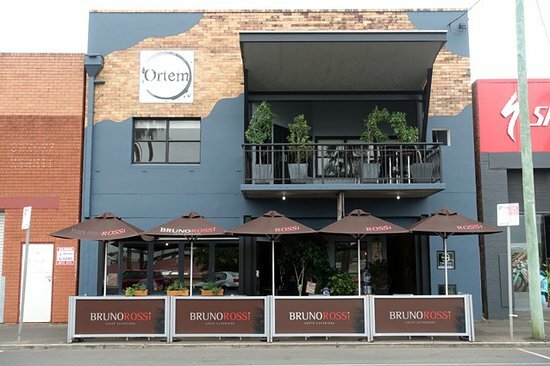 Now re-purposed, Ortem is one of Toowoomba’s most popular coffee spots, serving breakfast and lunch, fully licensed and open 7 days of the week. There’s plenty of parking, free newspapers, and a lovely vibe. 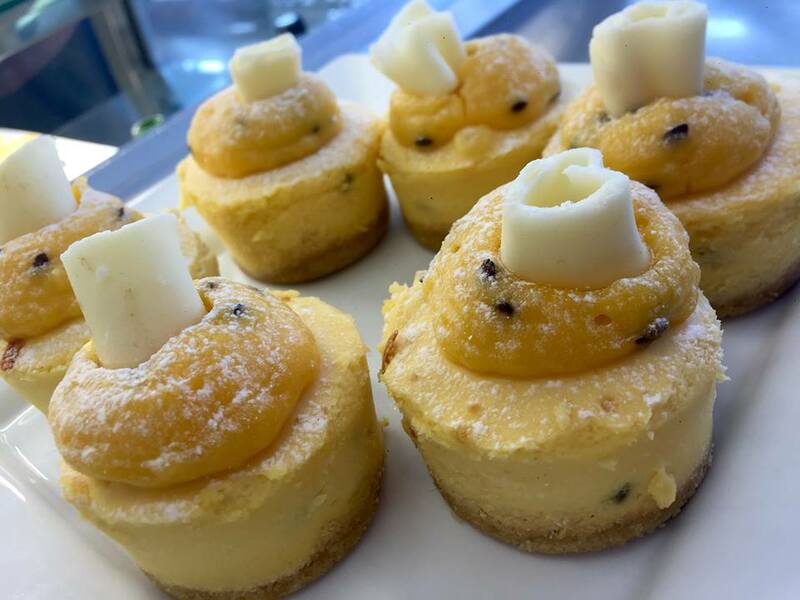 Wendland Fine Foods is a European style café deli, offering fresh savoury and sweet dishes for any occasion. They can accommodate all dietary needs and try to create authentic wholesome dishes with character. 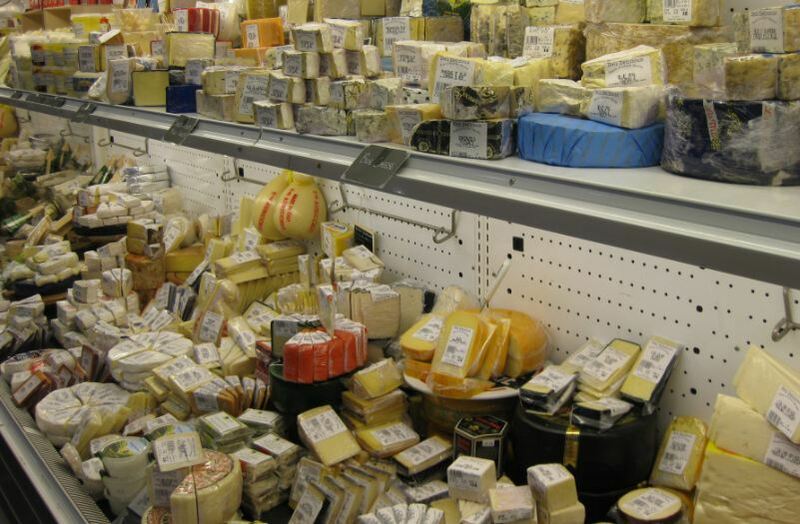 There’s an extensive cheese selection from Australia and overseas, with some of the best examples of the world’s cheeses. There’s also a large range of artisan bakery lines and sourdough breads. Don’t be afraid to to ask for a taste of their cheeses , meats or pates. Great Coffee. Open 6.30 am- 4pm Monday to Saturday and 6.30am – 2pm on Sunday. 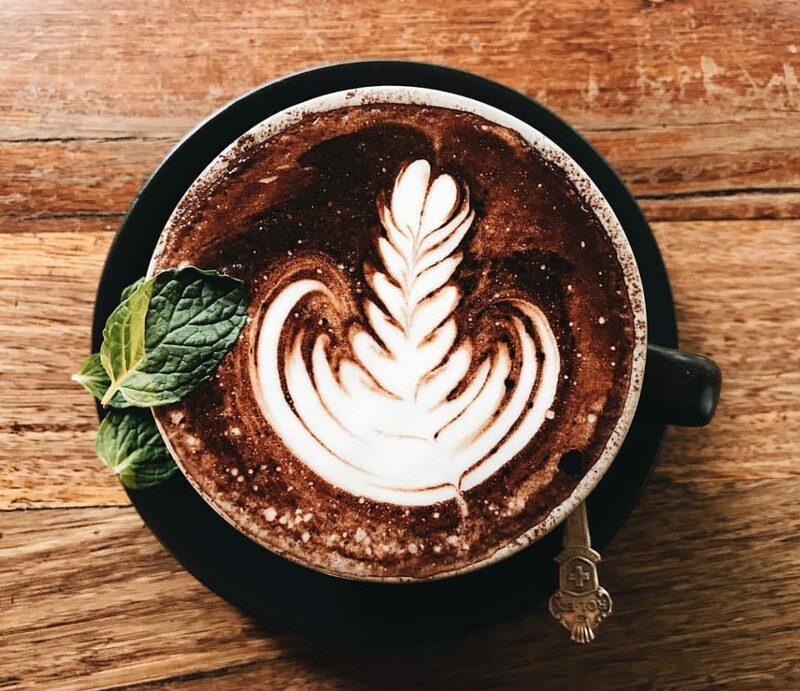 Toowoomba’s first laneway coffee shop and one of the most popular. At certain times of the day they are queued up here 12 people deep to order – but it’s worth it. They are passionate about serving great coffee, delicious food, good music and a fun friendly atmosphere. They serve breakfast, lunch, coffee and drinks and are open from 6.30 am to 3.30 pm Monday to Friday and 7-3 on Saturday. If great coffee is a priority for you, makes this your first stop. Part of the Walton Store urban renewal redevelopment which won a regional architecture award, this funky inner city space decorated with a large chinese paper dragon offers a range of great Asian street food in a very casual setting. 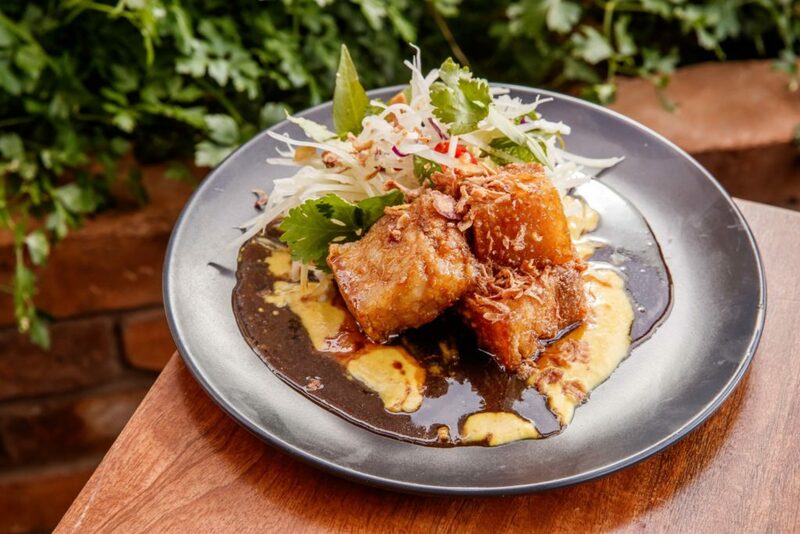 They have daily specials but my favourite is the roasted pork belly with vietnamese style green papaya salad with nuts and asian herbs in a sweet spicy fish sauce. No bookings required – just walk in. Want to take home some extraordinary locally grown produce? The Darling Downs has some of the most fertile farming land in Australia and there is the opportunity to purchase fresh local produce grown by local farmers while you are staying in Toowoomba. Check out some of the retailers who support local growers. WANT TO KNOW WHERE IT CAME FROM AND WHAT IT ATE? 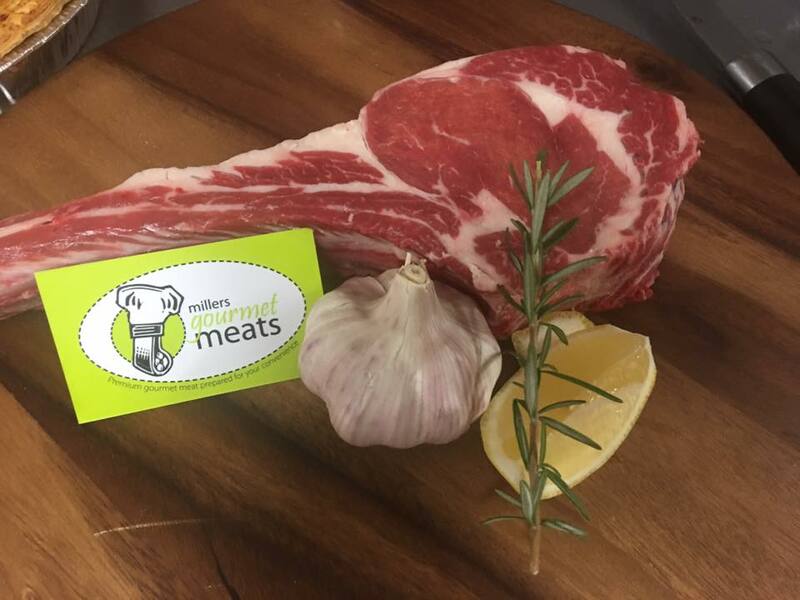 Food provenance is important to me and that’s why we shop at Millers Gourmet Meats in Mackenzie St East Toowoomba. This is a great butcher shop. They have free range chicken, free range pork, grass fed free range beef, wild caught barramundi and so much more. They cure their own hams, smoke their own bacon and can tell you the story of every piece of meat they sell. They have a great range of pies and ready to heat meals as well as a huge range of condiments. These people really love their meat and it shows. We’ve put on a few pounds since this little gem opened. 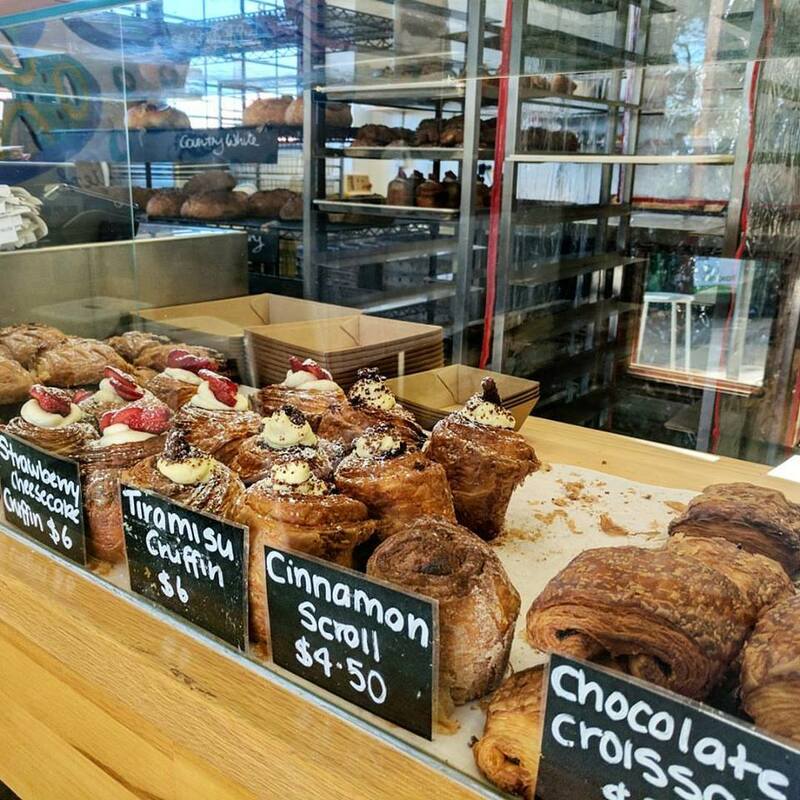 It is about 300 metres away from Vacy Hall (Shed 1, 55 Bellevue Street Toowoomba) and if you walk you feel less guilty while eating their beautiful treats. This is what 1 reviewer had to say and I heartily agree; Love this place! Real bread and pastries, what a treat! It’s probably just as well they aren’t open every day or I’d be broke and packing on the pounds. I was excited to find they make dark rye sourdough – so close to authentic Finnish rye bread. And the cardamom scrolls and rhubarb danishes are to die for. I could go on and on! It’s definitely worth lining up out the door on a Saturday morning. This fresh food marketplace offers a very large range of fresh produce which includes flowers, baked items, cheeses, meats, fruit and vegetables, delicatessen lines, coffee, breakfast and lunches. When they are busy you can wait a while for your coffee – so if you are in hurry ask how long it will be. They aren’t cheap but this is great place to put together an interesting picnic hamper or buy something exotic for the pantry. Open most days from 6.30am to 6pm on Saturday they close at 3pm and Sunday at 2pm. 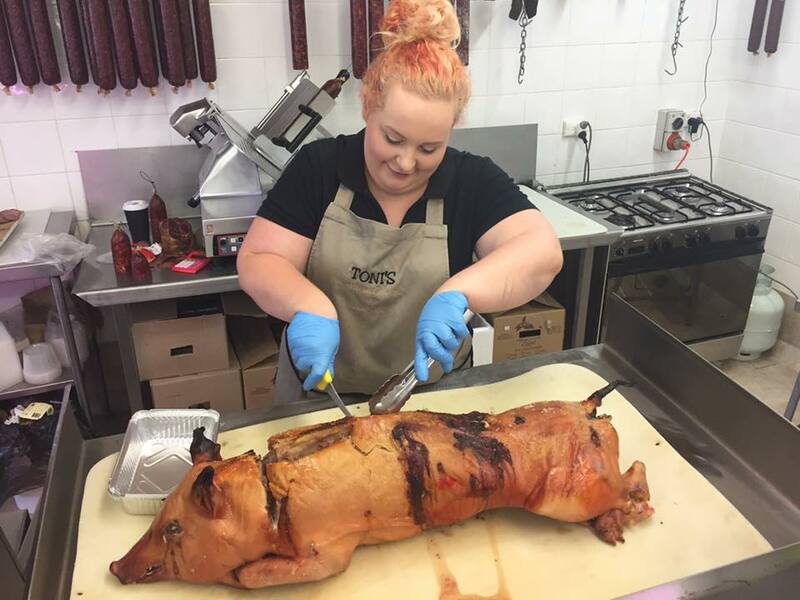 Now in the second generation of family ownership following Toni’s “retirement” this butcher is famous in Toowoomba for it’s continental style small goods. The small goods are outstanding. A huge range of quality fresh meats and poultry -if you want it they probably have it. They can be found at 127 Herries Street Toowoomba and are open 7am to 7pm 7 days a week but I would ring to check on Sunday.